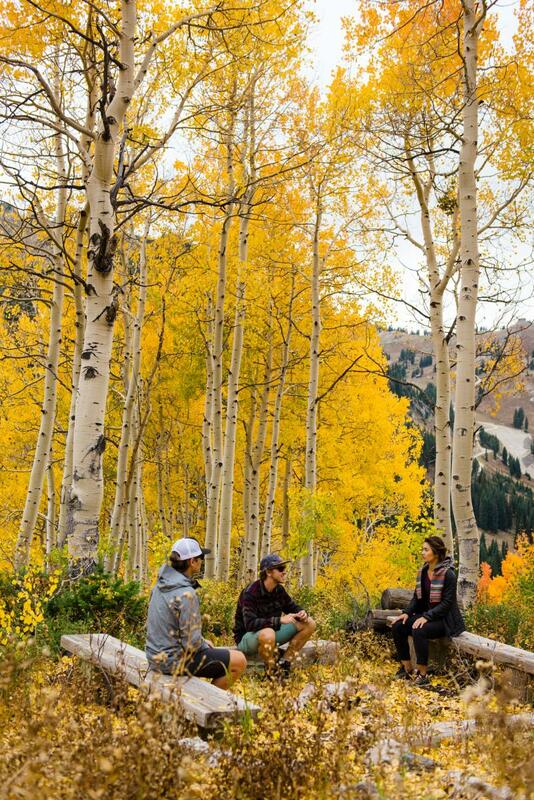 It’s that time of year again: Cardigans come out of hiding, festive gourds grace neighbors’ porches, skiers start shopping for season passes, and reds and yellows are starting to spark up in the hills around Salt Lake. If you’re a fellow fall fetishist, here’s where to go to see the foliage at its finest. 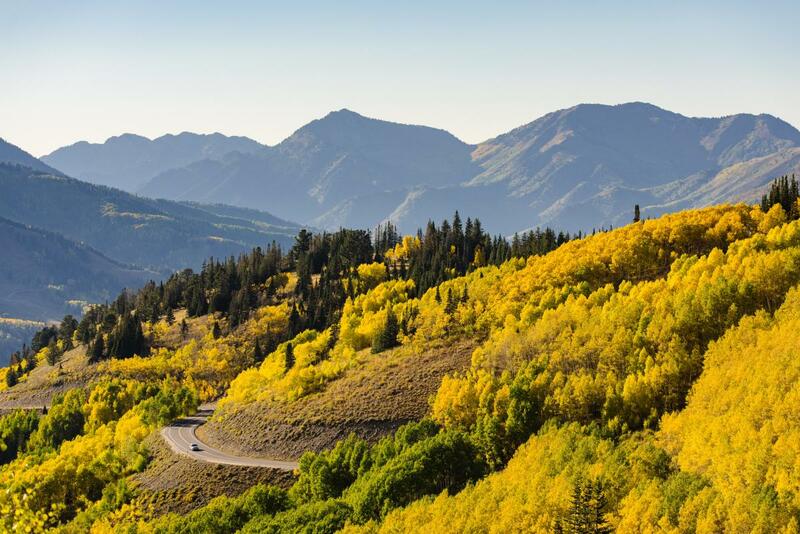 This glacier-carved canyon is stunning any time of year, with its alpine forests, rushing creek, and craggy formations, but fall is an especially appealing time to plan a scenic drive, a hike to one of Big Cottonwood’s many lakes or peaks, or a long mountain bike ride on the famed Crest Trail. Stop for lunch at the Silver Fork Lodge or Solitude’s Honeycomb Grill. If you do opt for a ride on the Crest, you’ll end in Millcreek Canyon, which runs parallel to and just north of Big Cottonwood Canyon. The canyon is geologically less dramatic than BCC, but in the fall this is actually a plus, as the forest and foliage are more up close and personal. Millcreek offers plenty of fun, easy hikes and pretty picnic spots from which to enjoy the colors. 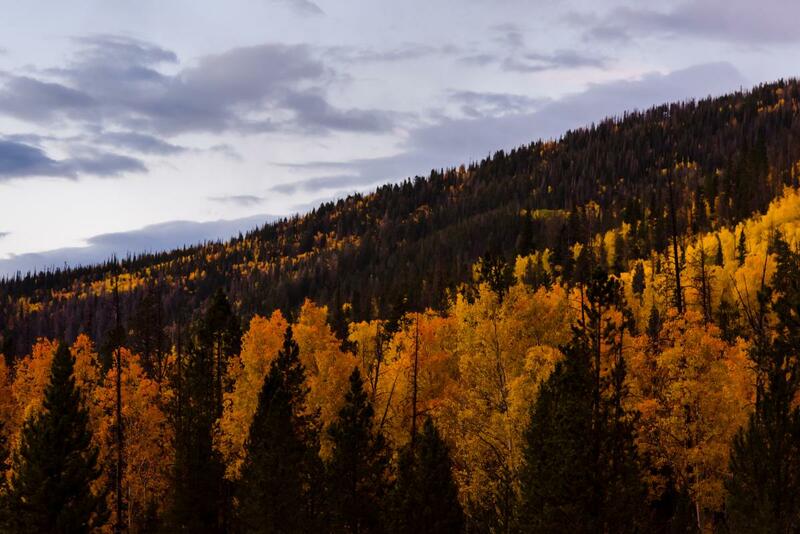 This scenic byway traverses Ogden Canyon, Pineview Reservoir, and Monte Cristo Road—the latter is known for blazing red maples and shimmering yellow aspens that will take your breath away. 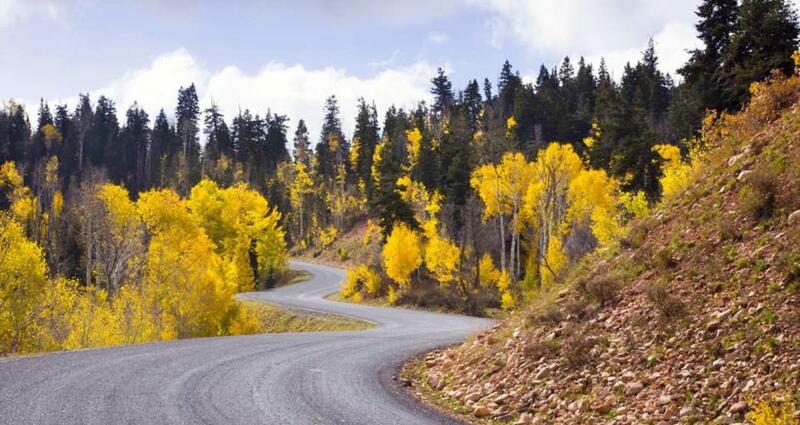 Since this drive gains a good deal of elevation, you’ll see a range of vegetation and color. Tack on the Trappers Loop detour for some extra eye candy. Come to fish, camp, hike, and gasp at the autumn glory. This byway runs through the Uinta Mountains along the Provo River, providing access to tons of outdoor recreation, from extended backpacking trips to afternoon drives. Christmas Meadows, Bald Mountain Pass, and Notch Mountain are just a few of the countless wonderful spots to take in sweeping views of bright yellows, deep reds, and burnt orange. Nebo Loop is a gorgeous and relatively uncrowded drive, complete with stunning overlooks and neverending technicolor foliage. This mountain often shows off by adding mist, rainbows, and dramatic lighting to the mix, and these theatrical views can make for some killer photographs. There are several camping and hiking opportunities on Mt. Nebo, and be sure to stop and see the Devil’s Kitchen sandstone amphitheater. 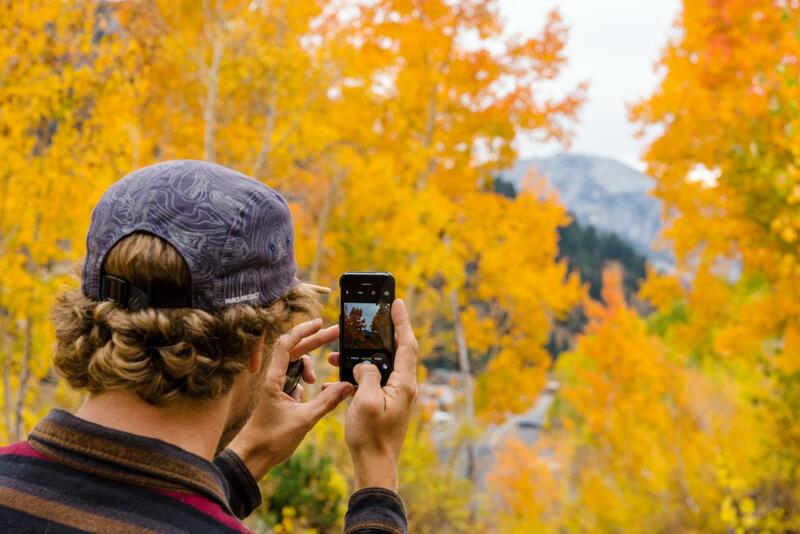 For a fall scene that will stand out from the rest of your friends’ Instagram feeds, head to Southern Utah. 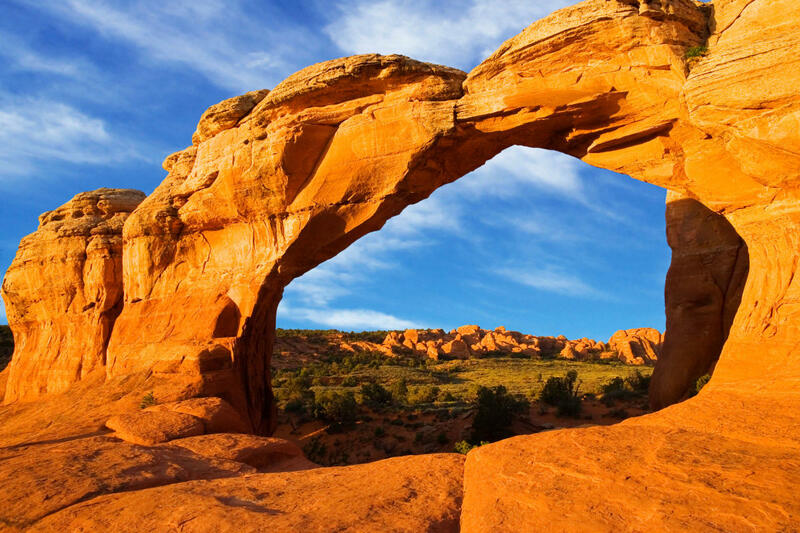 Each of the state’s five incredible national parks offers its own unique fall palette, from the psychedelic rainbow of colors flocking the Narrows in Zion National Park to the striking contrast of pale yellow cottonwoods against the red walls of The Maze in Canyonlands National Park. If a neighborhood walk with a warm coffee in hand is more in line with your schedule than a canyon drive or a weekend trip down south, you can still see some lovely leaf-changing displays right in town. The historic Avenues neighborhood is ideal for leisurely strolling, and it’s chock full of giant trees that display a cornucopia of colors. 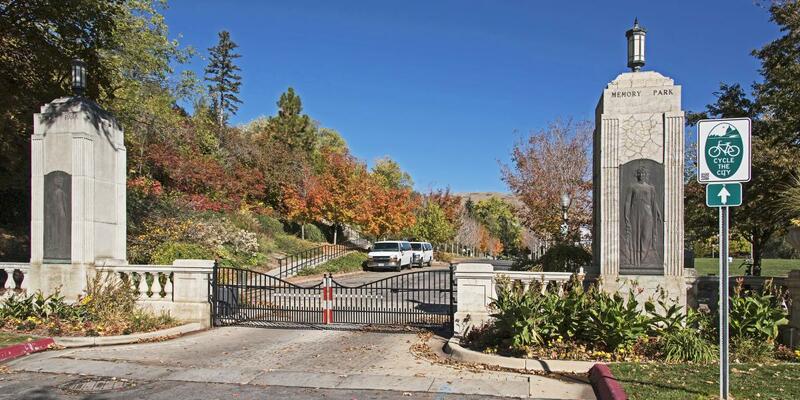 Walk to the bottom of the Avenues and head to Memory Grove and then up into City Creek Canyon for a full-fledged fall adventure that never requires a car. Red Butte Garden offers a fiery display of foliage on its Floral Walk, in its Rose Garden, and along Red Butte Creek, and the Corner Canyon area in the Draper neighborhood offers easy, colorful hikes, right from the residential area.